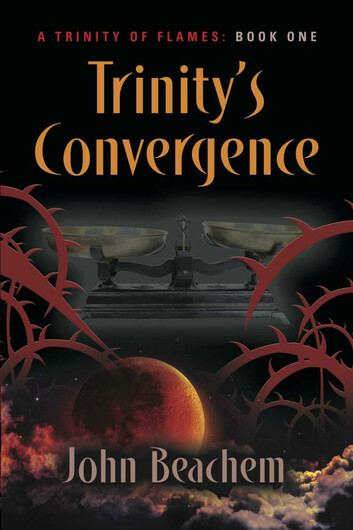 Trinity's Convergence, the first book of John Beacham's planned A Trinity of Flames trilogy, is a post-apocalyptic fantasy set in a world where magic has vanished. Every person had the ability to wield the powers of magic back in the day but a horrific year of fire and destruction put those days to an end. Trinity's Convergence is centered on three women from different clans who find themselves drawn into a situation that spirals rapidly out of control. Is this a sign of the return of magic or mankind's final destruction? 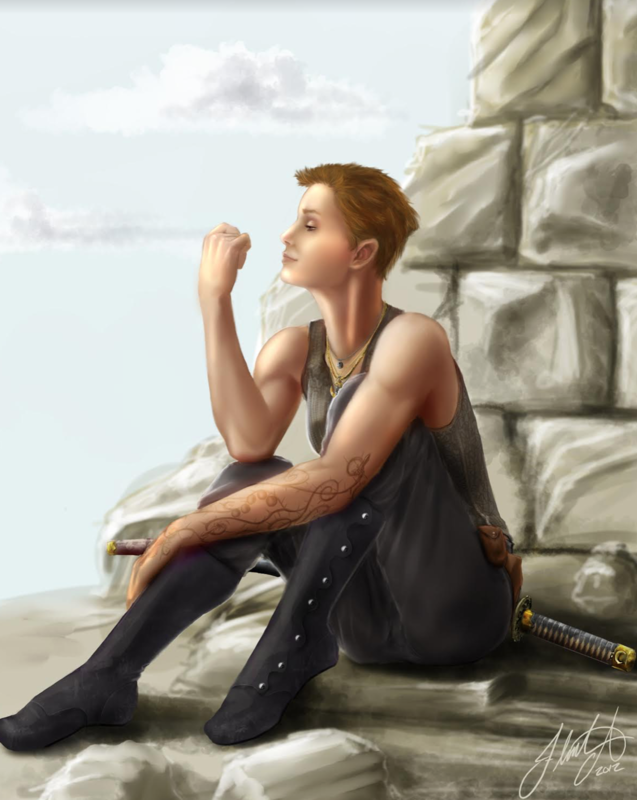 Beachem, who says that he's heavily-influenced by Shannara author Terry Brooks while he was younger, wondered what a society would look like if they were reduced to figuring out how to do the most basic tasks because their spell-casting ancestors could instantly create whatever they wanted with magic. In his novel, Beachem questions how people would feel about magic possibly returning? Would they be thankful that their great civilization might be created once again, or would they be terrified? What is the primary conflict of Trinity Convergence? The primary conflict in Trinity's Convergence essentially revolves around two events: Miryam's defense of the stuttering, nebbish scholar, Bertram; and the ongoing conflict between the clans of Leeset and Ethannia. When Miryam protects Bertram from Leeset and her people, it draws them into the clans' "feud." Leeset wants Bertram (for personal as well as clan-related reasons), Ethannia doesn't want Leeset to have Bertram, and Miryam is caught in the middle. As more information about Bertram comes to light, this conflict takes on much larger ramifications, and all three women begin to realize that their meeting might not have been a coincidence, and the things Bertram knows are more important than they first seemed. Why is the title called 'Trinity's Convergence'? The story's three main characters, Miryam, Ethannia, and Leeset, represent very different aspects of this world and its future. Leeset is the past: dogmatic and stubborn, belonging to a clan that is interested primarily in the writings of the previous generations and their meanings. Ethannia is the present: a creature of the moment, interested in what is happening around her at any given time and how it immediately impacts her. She doesn't dwell much on what has come before, and she doesn't think a great deal about what is to come. 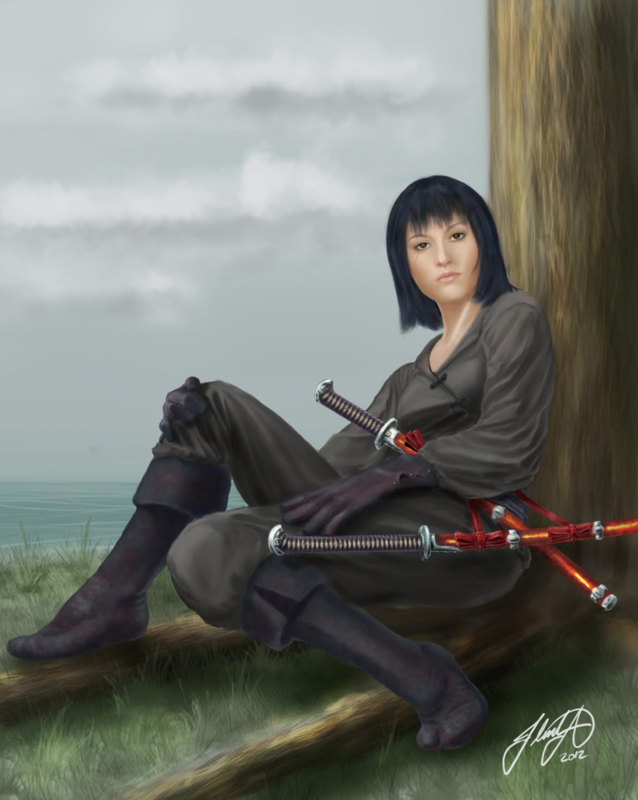 Her people are interested in battling Leeset's clan, regardless of what this may cause, and most of the clan members do not even know what started the ongoing conflict. Miryam is more forward-thinking than the other two. 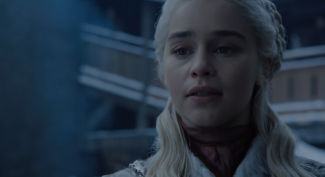 She plans ahead, considers the consequences of actions, debates how the pros and cons of decisions, and focuses on improving her own situation and that of her people. Each comes from a different region, and each represents a different possible way Bertram's predictions could come to pass. This story is about how the three come to meet each other, and sets the foundations for what is to come. The post-apocalyptic nature of your world sounds harsh. If magic is the poison, could you give us a hint about its remedy? Or is it hopeless to save? The world is certainly not beyond saving, but the path ahead is treacherous at best. Everything depends on the choices these three women make: whom they trust, what they're willing to fight for, what they're willing to forgive, and to whom they're willing to listen. They've each been through truly traumatic events in this book, and have only begun to accept they have a larger role to play in what happens to their world. Embracing this destiny would mean setting aside or even outright rejecting everything they believe in, and that's a lot to ask of anyone. You mentioned that the denizens of the land are different. What other species or races live there? Are they conflicted against each other? Humans are the only sentient species in the world as we understand "sentience." The war that created the Flame has left deep animosity between the people of the three kingdoms, however. The people of the northern kingdom, the Kareeshians, have born the brunt of much of the blame for what destroyed the world, while the middle kingdom, Ikthul, sustained most of the physical and emotional damage. As to the nature of the denizens, that is one of the great unknowns. For many years people were content simply to avoid this new species that had arisen, but as the Wastes slowly spread, this is becoming more difficult. One woman that Ethannia encounters has a very different view on the nature of the denizens than that which is commonly held, and this is something Ethannia is going to need to grapple with in the future. There are other beings, however. Each of the three clans we meet uses different beasts of burden, for example. The traders use horses, while Ethannia's people use utors (massive, red creatures that are sturdy, ornery, and ugly as sin). Leeset's people ride tik'eda: sort of like giant crosses between hounds and horses with flaming red eyes and razor-sharp tusks. Are there specific rules or laws on using magic in your novel's world? If your work turned out to be an ongoing webcomic as you originally planned, do you think the overall story would be entirely different? Making the transition from a webcomic to a novel was difficult at first, because they are such entirely different mediums. What works in one does not necessarily work in another. The primary changes I would say I've had to (or been able to in some cases) make as a result of this are that I've condensed some of the story, cut out some of the action, and been able to use more exposition. In a comic, no one wants to read panel after panel filled with characters standing still, surrounded by massive blocks of text. It doesn't work for the medium. 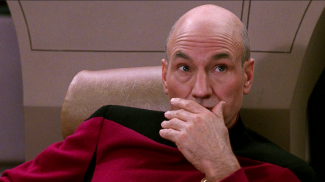 However, in a novel, a lengthy conversation involving two characters simply sitting in chairs across from each other can work quite well. The biggest change I made, though, was the introduction of Leeset as a major character. In the comic, this would not have occurred for quite some time, but as I wanted the trinity to be established fairly quickly in the novel, I bumped up her introduction rather than spending significantly more time introducing Ethannia. Tell us about an interesting character or group of characters in your novel. There's a brother and sister duo named Alex and Daspri who are rather a unique pair. They're sort of the inventors/innovators/madmen of their time. While everyone else is just trying to survive, they're busy mixing things, messing with things, and destroying things to see what happens. They have a sort of detached bemusement regarding everything that happens around them, and seem to exist in their own world where only they are in on the great cosmic joke, and only they understand each other. It sounds like Alex and Daspri are fun and wild characters that readers would enjoy. How are they significant to the story? Alex and Daspri were certainly the most fun to write. After I finished with them I caught myself trying to find new ways to squeeze them into the story, honestly, but I think it would have felt forced. The off-kilter siblings play a significant role in the later development of Leeset, coming into her life in a time of extreme crisis and testing her in ways she could never have expected. They end up having a massive impact on her future in a way that I don't want to go into too much detail here. Let's just say Leeset is not the same woman after meeting these two. Check out Trinity's Convergence by John Beachem at Amazon now.